My mom shaped me into who I am today, and according to her, maintaining clean, tidy nails should be one of my top beauty priorities. Apparently, hands are the first thing people notice! However, it’s often difficult to keep nails tidy and manicured 24/7, 365 days per year. Especially when traveling, my nails almost always get chipped, broken, and grimy after long plane rides and luggage lugging. 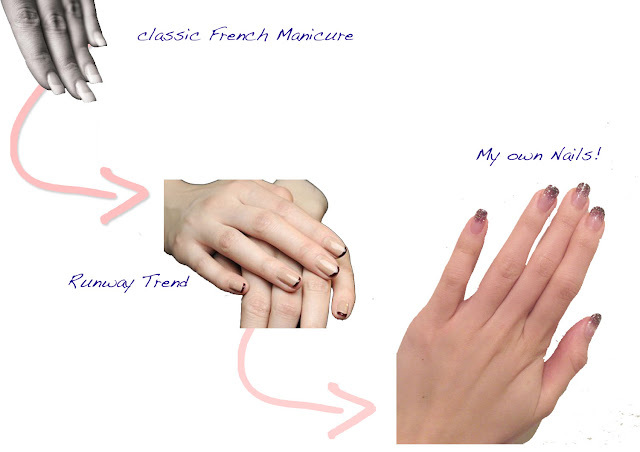 During my past trip to Asia, I got a gel manicure, and found the solution to all my nail issues. It’s been over 3 weeks now, and my nails still look perfect! 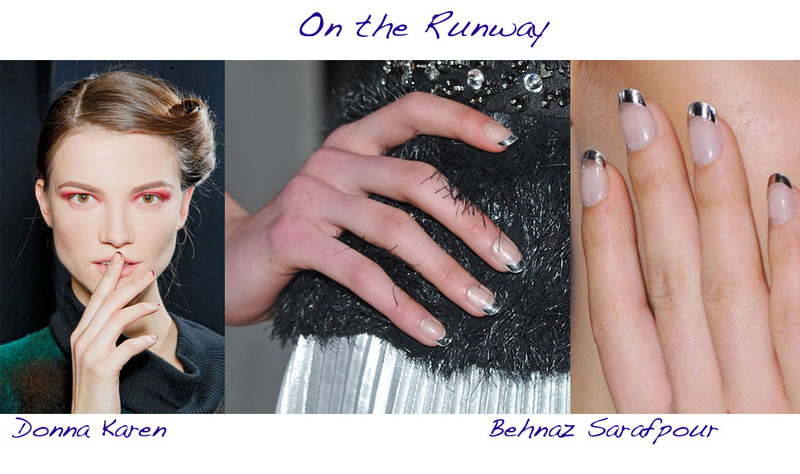 Instead of resorting to my usual—classic French mani, I added some edge to my plain digits, and tested out new nail trends, as seen on Donna Karen, Behnaz Sarafpour runway shows~ French Manicures with colored tips. Some designers like Thakoon even took it to the next level and featured black meshed tips against a buttercream nail bed! So, the next time you're thinking of getting a mani/pedi, step out of your comfort zone, and give these fresh, fun, nail trends a try!